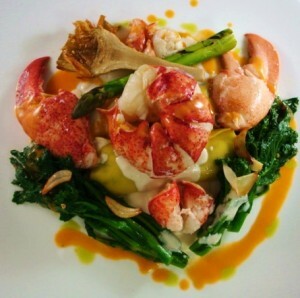 Maine Lobster with Spinach & Three Cheese Cannelloni courtesy La Bella Vita Ristorante, Ocean Properties Ltd. Chef Ryan Phillips subscribes to the classic culinary theory of using the freshest local and sustainable products to create Italian influenced dishes. Ryan has a unique cooking style; his focus is taking classic recipes and revamping them into more modern presentations. His style is a mix of rustic to contemporary, adhering to classic cooking techniques. It is his subtle, creative and harmonious way with food that sets him apart. Chef Phillips discovered his passion for food at the age of 14, working in local restaurants and hotels. He attended the Art Institute of Fort Lauderdale Culinary Arts Program. Upon graduation, Ryan was offered the position of Chef de Cuisine with Ocean Properties Ltd. and for the next 12 years he rose through the ranks to the level of Regional Executive Chef. 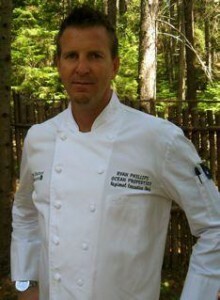 As the Regional Chef, Phillips oversees menu development, day-to-day kitchen operations, food quality and staff training. In 2008, Chef Ryan was offered the opportunity to oversee culinary operations for Ocean Properties’ Italian concept restaurants “La Bella Vita” located at three of Ocean Properties premier luxury resorts in the Northeast. The Harborside Hotel and Marina in Bar Harbor, ME., The Sagamore Resort in Bolton Landing, NY and the newest edition, The Samoset Resort and Spa in Rockport, ME. Chef Ryan credits his success to Ocean Properties and its great chefs he’s had the opportunity to work with. He enjoys traveling and experiencing cuisine from all over the world. When he’s not in the kitchen, he’s apt to be found surfing the rugged Maine coast. This entry was posted in Local Seafood Recipes on March 15, 2013 by Nick Brancaleone.